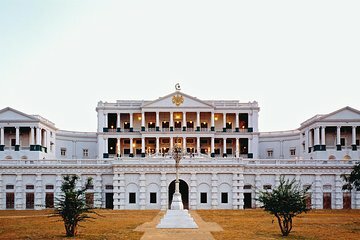 Machen Sie eine Tour durch den Falaknuma-Palast mit einem eleganten Nachmittagstee bei dieser Halbtagestour in Hyderabad. Halten Sie für Fototermine am Charminar-Denkmal und Laad Bazaar, bekannt für den Armreifenmarkt, an und machen Sie anschließend einen Rundgang durch den Falaknuma-Palast. Vervollständigen Sie Ihre Tour mit High Tea im eleganten Palast für das ultimative Sightseeing-Erlebnis. Inklusive Tee und Abholung und Abholung vom Hotel. However i had to pay for the HiTea even though i had paid all the charges at the time of booking.booking charges included HiTea also. The same night i informed the local travel agent who then had a word with the Hotel staff and refunded the payment. I have always taken Viator tours in USA, UK and France and all were lovely experiences. I am from India and unfortunately over here this goofup occured. The local travel agent was very co-operative.